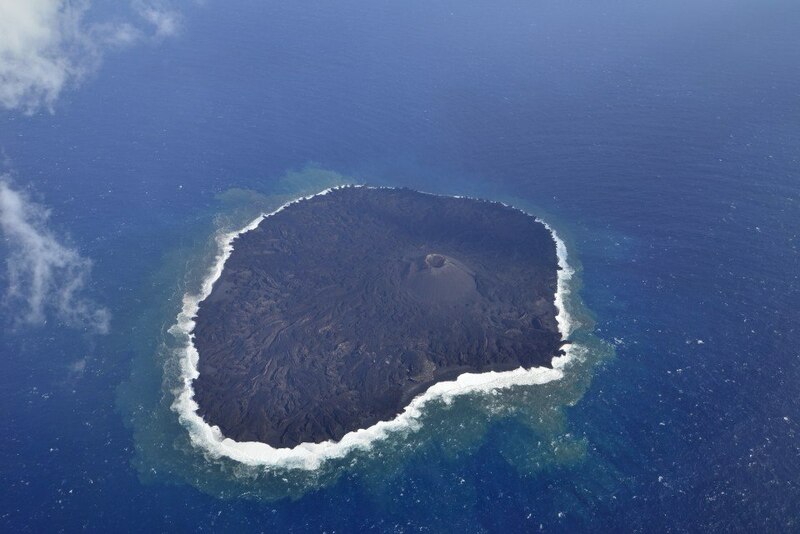 Nishino-shima (Volcano Islands, Japan): An aerial survey on 19 Jan showed that no activity occurred recently. The eruption can now be regarded as over. Bromo (East Java, Indonesia): According to a local news article referring to information from the volcano observatory, the volcano's eruption started to eject visibly incandescent lava bombs this morning. In more technical words, this suggests that by now the eruption entered a so-called magmatic phase where fresh lava arrives at the surface (as opposed to ash emissions from mostly pulverized older rocks, which might have been the activity so far). The head of the Center for Volcanology and Geological Disaster Mitigation, Edi Prasojo, said that" Bromo has entered an eruption phase", the article mentions. On a side note, incandescent ejected rocks alone, however, do not necessarily (although often) mean that they are from fresh magma. In some cases, they can also be older, very hot rocks from the conduit ejected by phreatic activity). An analysis of a sample or the ash would tell the difference. Kilauea (Hawai'i): No significant changes have occurred in the ongoing eruption both at the volcano's summit and on its eastern rift zone. Degassing, seismicity and deformation are at normal levels. Summit lava lake: The lava lake in Halema'uma'u continues to be active, fluctuating in level around 35 m below the crater rim. Puʻu ʻŌʻō (East Rift zone): A small new circular lava pond, approx. 20 m in diameter, has formed in mid January in the western end of the crater. Popocatépetl (Central Mexico): No significant changes have occurred during the past weeks at the volcano. Magma is slowly rising and growing a flat dome in the inner summit crater. Trapped, pressurized gasses cause small to moderate explosions with more or less intense ash emissions from time to time, typically a few per day. Unfavorable wind conditions drifted ash plumes over Puebla's airport yesterday, prompting its temporary closure between yesterday afternoon and this morning. During the past 24 hours, CENAPRED recorded 8 explosions, the strongest of which at 01:50 local time ejected many incandescent bombs to up to 900 m on the NE flank. Planchón-Peteroa (Central Chile and Argentina): An increase in seismic activity started on 15 Jan 2016 triggered a raise of the volcano's official alert status to "yellow" on 22 Jan.